Alexis Sánchez broke a 1-1 tie for Arsenal with a beautiful goal in extra-time against Manchester City in today’s semifinals of the FA Cup. 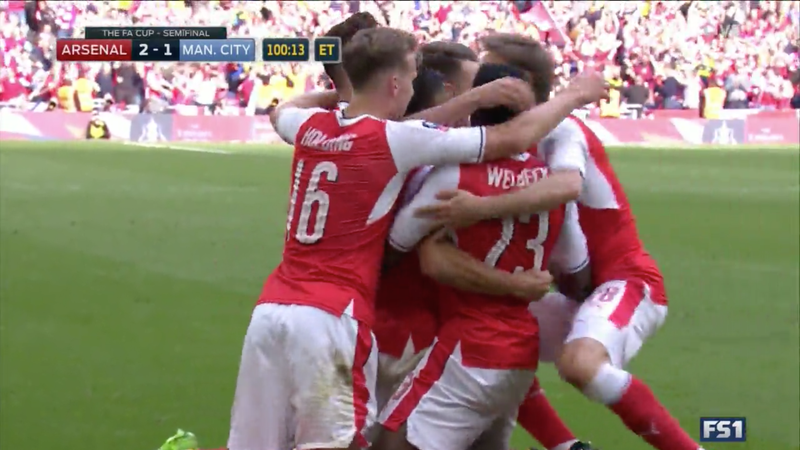 With the win, Arsenal will now face Chelsea in the final. “One step below” Messi? Maybe. Will Falling Out Of The Top Four Be Enough To Bring Change To Arsenal?